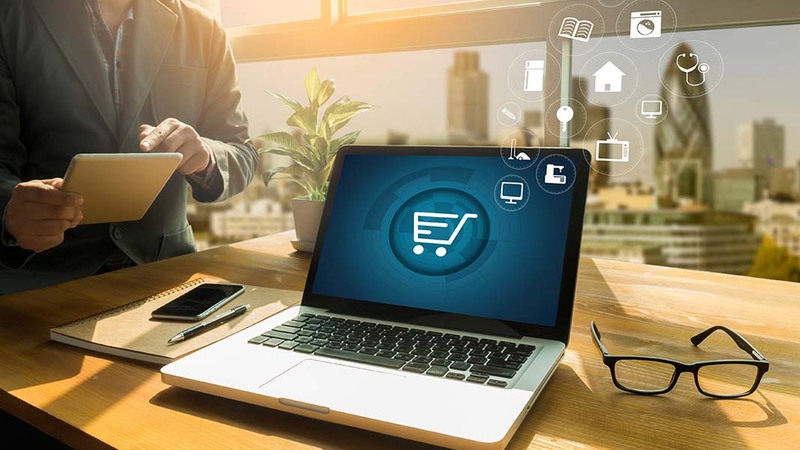 Each day, the world of ecommerce grows thicker with competition—making it an increasingly risky landscape for entrepreneurs to navigate. Yet the competitive nature of internet retail is only one risk facing prospective owners (and veteran ones) as we move closer to the end of 2018. If you want to avoid the blunders of highly visible companies like Facebook and Google, it’s in your interest to plan ahead. Here are the three greatest threats to the long-term success of your e-tailer business plus actionable solutions for handling them, so you’re better prepared to deal with problems as they arise in 2019 (and beyond). 2018 may very well go down in history as the “year of online privacy rights”. Combine the kickoff of EU’s General Data Protection Regulation (GDPR) with the recently passed (and very severe) California Consumer Privacy Act (CCPA), and it becomes clear that government entities at home and abroad are tired of internet companies and their indiscriminate collection of data. Not to mention, Facebook’s Cambridge Analytica scandal and Google getting blasted by the EU have publicized data collection in a way never seen before. Politicians and their constituents have grown wary of these flagrant online privacy violations, a fact that’s reflected in the recent passage of state-level privacy laws all around the United States. These laws need to be addressed in a quantifiable way if you’re running an ecommerce business, because everyday you don’t puts you at risk of litigation. Depending on how your company collects and processes data, this could be anything from just a chore to a complete hassle – requiring you to overhaul fundamental elements of your website. Other states will likely follow suit in the future, so it’s important to be prepared. For big companies, creating the infrastructure to accomplish this could be a major process. For smaller ones, it may be possible to do much of this manually (although it’d still be a nuisance). Regardless, it’s critical that you address these user data requests in some way, or else your business could be at risk. 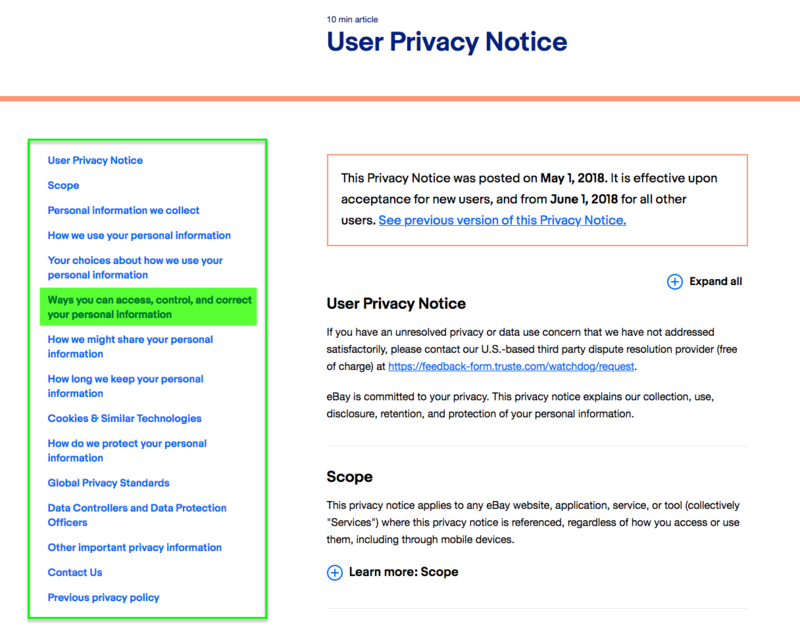 Having an apparent method to striking user data records from your site will put you in good legal standing as we move forward into the days of heightened consumer privacy regulations. Even if you’re not in California or in Europe, it’s still wise to have a plan in place, because further privacy legislation is likely to come. Thanks to the negligence of companies like Equifax and the ubiquity of EMV chips on physical credit cards, CNP (card-not-present) fraud is hitting record highs as fraudsters migrate from in-person card skimmers to the more anonymous world of the internet. CNP fraud is a huge risk for your ecommerce business, and it could cost you more than you realize. One of the greatest effects online credit card fraud has on your business is that it leads to chargebacks. At best, chargebacks only waste your money and time. But at worst, they can cost you your merchant account and destroy your ability to conduct business at all. Major ecommerce processing companies like Shopify and Magento will quickly shut your account down if they notice a glut of chargebacks. Instead of risking this, you can try opening up a high risk merchant account with providers accustomed to chargeback resolution—but even they can’t save you if your ratio is excessive. High risk payment processors generally have chargeback management built into their services, so they’re better equipped to take care of your ecommerce business than a standard provider. Although they might cost you more in certain ways, they can save you time and money in the long run by keeping your bank account open. A survey conducted in 2016 revealed that 81% of consumers preferred to initiate chargebacks through their bank instead of the merchant because of convenience. This is a startling statistic, and even if it doesn’t paint the full picture it should still alarm ecommerce business owners everywhere. Making sure your customers turn to you with their problems before their bank will help you reduce those pesky chargebacks and keep your ratio down. The key is to convince them you’re better equipped to resolve their problem than anyone else, and you can do this with stellar customer service. It sounds simple, but having your contact information and business hours listed clearly on your site is one step in the right direction. Also, implementing a fraud management program can help you and your customer service team prepare for the inevitable (because fraud and chargebacks are one of those unavoidable parts of ecommerce). Another big risk for ecommerce businesses as we blaze ahead into the new year is that the level (and number) of competitors grows every day. Tracking conducted by “Internet Live Stats” revealed that the number of live websites jumped from 1 to 1.75 billion between 2016 and 2017 alone, and by 2019 that total will easily eclipse 2 billion. What this means is that it’s increasingly difficult to make a visible splash in your niche without the proper resources and guidance. Simply having a regularly updated website isn’t good enough anymore. You need an edge if you hope to overcome market saturation and carve out a spot to make a living online. We can learn a lot from our competitors. Seeing what they do well and taking note of their failures will help you get an idea of how to optimize your business—not just your product but your website, pricing, and more. Regardless if your website is up and running or merely a concept, understand that you can never have too much relevant written content saved to your computer. If you want to compete in the hypercompetitive world of ecommerce, you have to put in the energy to establish yourself as an expert—something only achievable with publishing pieces of writing. In fact, one survey indicated that 56% of business owners attribute their blog to helping create their image as a “thought leader” in their respective industry. Not to mention, blogging has been shown to increase your organic traffic, and more visitors on your website (in particular, ones researching topics relevant to your company) means more paying customers. Blogging alone isn’t quite good enough either. Guest posting for other websites is another important supplemental strategy for increasing your outreach. Just be sure to read your target website’s guest author guidelines, and understand that you need to provide something of value; otherwise you’ll likely get rejected (or asked for money if your piece is overly self-promotional). Risk is an inherent part of starting a business, but there are specific ones that are more unique to ecommerce. Regardless, if you can set yourself up with a legally compliant website, comfortably manage chargebacks, and provide valuable blog content to establish yourself in your particular industry, you’ll be in good shape to avoid these risks and make a living as an online business owner. Zachary Paruch is a project lead and small business expert at Invoice Genius, where he works daily with freelancers, contractors, and remote workers to streamline their businesses and help them get paid more quickly for their hard work.